Even though Charlie Chaplin was, without a doubt, one of the most famous entertainers of all time, very little is actually known about his origins. No certificate of his birth or entry in a baptism registry has ever been found. He is believed to have been born off Walworth Road in London on or about April 16, 1889. Chaplin would later confide to friends that he wasn’t even certain of the identity of his biological father. In the vernacular of the period, he may have been a love child. His mother, Hannah, was mentally ill and spent most of her adult life in institutions. Charlie and his half-brother, Syd, bounced around from charity homes to workhouses. Charlie began his working career as a clog dancer when he joined the Eight Lancashire Lads. After several tours, the group arrived in the United States in 1910. With Syd acting as his manager, Charlie began making films at Keystone Studios. Within a decade of his arrival in America, he had become one of the nation’s most popular motion picture stars. 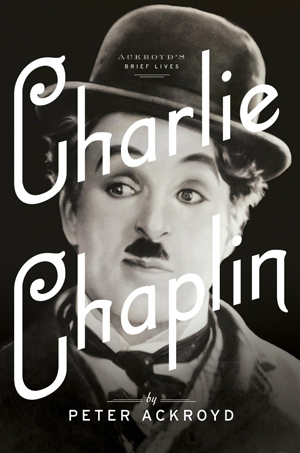 Best-selling biographer Peter Ackroyd focuses on Chaplin and his often controversial life. In addition to documenting many of his classic films, Ackroyd traces the actor from his humble theatrical beginnings in music halls to his work in Hollywood, which earned him an honorary Academy Award in 1972 and a knighthood three years later. Chaplin’s image still is instantly recognized throughout the world, although he died some 37 years ago. Chaplin was a complex man, especially in his relationships with women. He was married four times and fathered 11 children. Ackroyd sorts out Chaplin’s personal life as well as his professional one. Ackroyd’s brief but engaging book offers fresh revelations about one of the most familiar faces of the past century and brings the “Little Tramp” vividly to life once again.